K100-forum.com » Off Topic » Humor » Where is my car? What about PCS (Parked Car Syndrome)? Mine is easy to fine, but it's bloody hot in the afternoon. Gees when it snows here it is just a bit of grey slushy stuff on the ground over night, sure glad I don't have to shovel all that. No kidding, the US and Canada east coasts have been suffering this year while the west coasts are balmy and warm. It hit 17c (mid-60s) in Portland, OR on Sunday and Monday! The Cascades and Olympics are nearly bare of snow which does not bode well for skiers, or Spring run-off leading to the Summer growing season and an inevitable drought. One local Seattle paper put it into a humourous perspective, suggesting Bostonians are weenies for closing schools and roads when 'only' six feet of snow has fallen and continues to fall. "Pass me another My Tai, will you? ", quipped the Seattle-based editor. I though this might have been the story that appeared in the Sunday Sun (remember that?) years ago. An older couple went shopping at Carindale shopping centre. When they came out their car was nowhere to be found. Went through insurance, got a new car. Two weeks later, back at Carindale, came out and realised they had parked the new car next to the old one. It hadn't been stolen, they just hadn't found it. Here is what it looks like home at the exception that with the freezing rain and ice pellets, this turned into ice. Oh they were forecasting a tropical winter for Halifax. You're on the wrong coast of Canada this time of year Crazy Frog. I had enough of winter when I lived in Ottawa for five years. I have to go there in mid March on a business trip. Just when the five months of frozen dog crap starts to thaw out . 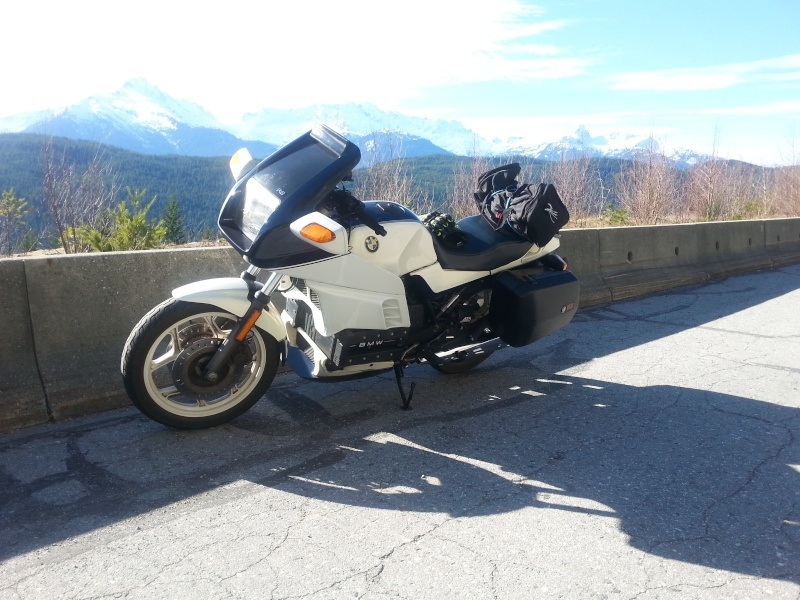 Here, on the blessed coast, I'm going for a ride this Sunday up to Whistler ( a skiing village!) that doesn't even have enough snow in February. I'll send some pics to you when I get there. Anyone else coming? Looks like we need some serious global warming and the mother of all thaws.....and quickly! 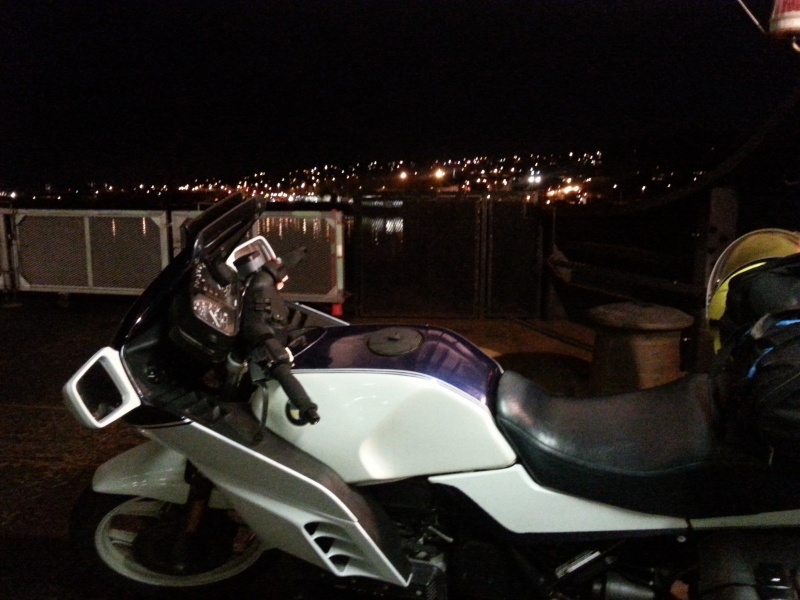 Taking the 100 minute ferry ride from my home on Vancouver Island to the mainland. 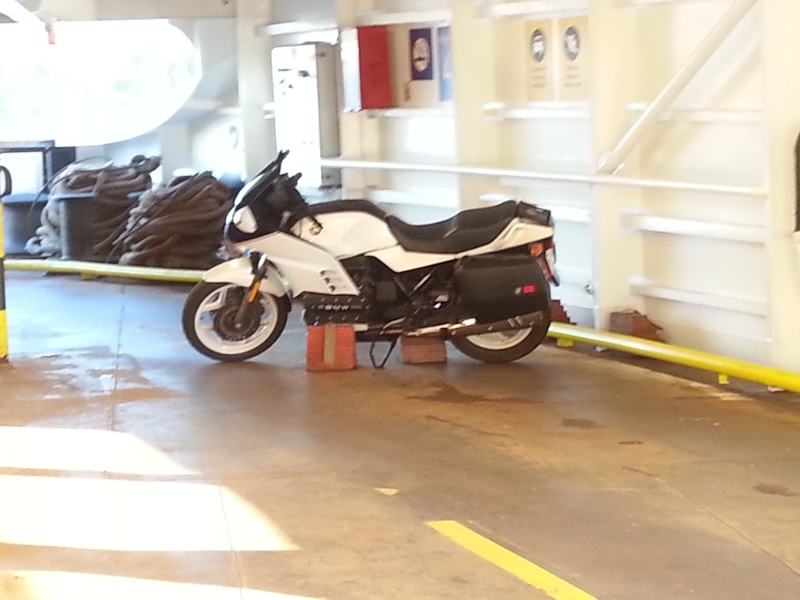 The great thing about taking a bike on the ferry is that you are first on, first off. Just north of Squamish after having a coffee at Starbucks. A beautiful day. 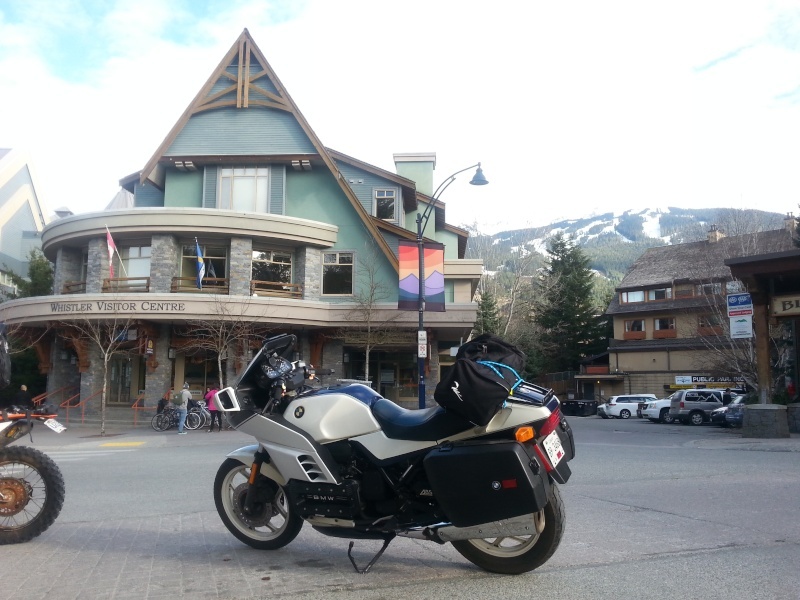 In Whistler village. Because of the mild winter only about 10% of the runs are open. Was kind of odd riding into the village and having people walk by wearing ski boots and carrying skis. Because Whistler/Blackcomb mountains have about 6000 feet of vertical (more than anywhere else in North America), there are always ski runs open, even in the summer. 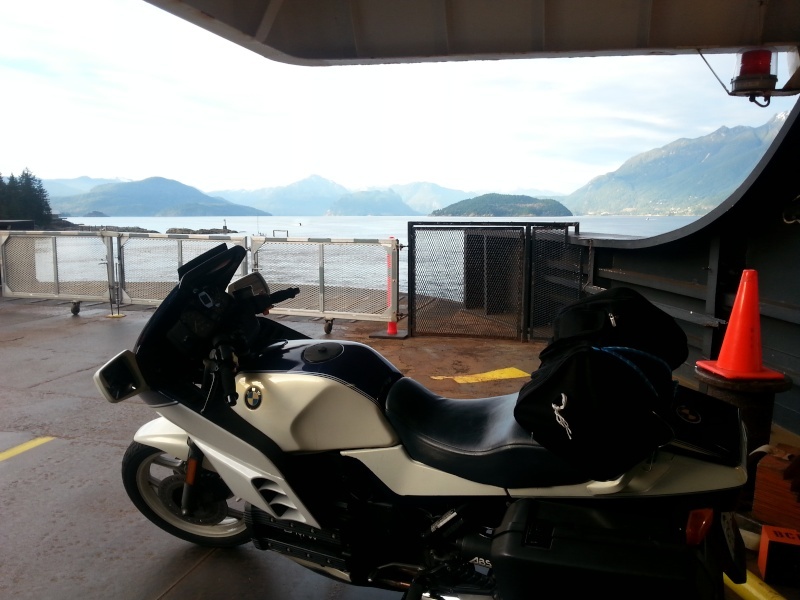 Alas, after a great day of riding I had to get back on the ferry to head back to Vancouver Island. You are looking up Howe Sound and at the end of it (out of sight in this picture) is Squamish. Pulling into Departure Bay on Vancouver Island. A great way to end a great day of riding. The season is on! The Nova Scotia RCMP are asking for the public's assistance in apprehending Old Man Winter. Old Man Winter is wanted in relation to a series of storms in Nova Scotia over the past two weeks leaving behind massive amounts of snow across the province. Old Man Winter hails from the north, moves quickly, and drifts around. Last winter, he often made appearances on Wednesdays however this year, he has been much more unpredictable. The suspect was last seen Sunday, February 15th after dumping up to 60 cms throughout the province. His known associates include Shubenacadie Sam, Jack Frost, Mother Nature and Frosty the Snowman. Since the start of 2015, Old Man Winter has been responsible for numerous highway closures, snow days, excessive shoveling and visits to the chiropractor. The RCMP appreciate any assistance citizens can provide us in helping locate and apprehend the suspect in advance of Thursday's pending snow.